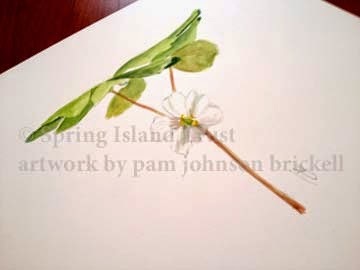 I'm delighted to be working on a project as part of my job on Spring Island. 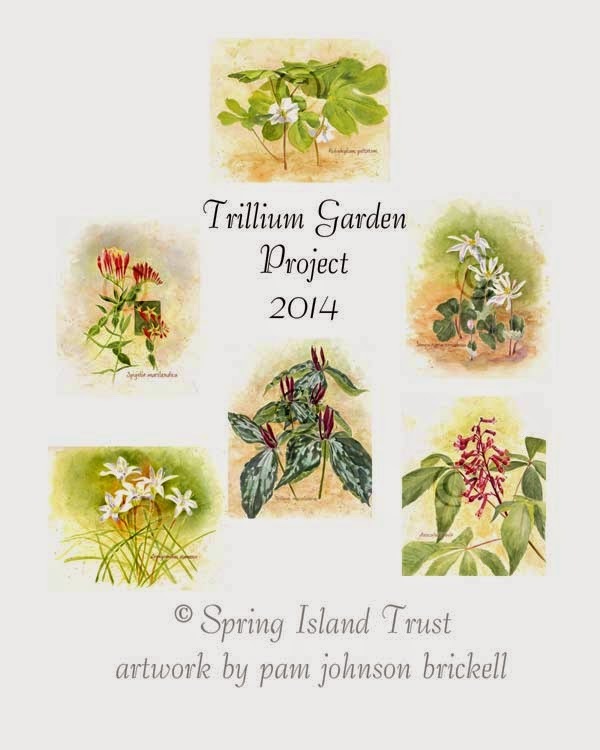 There is a lovely piece of property that is amazingly flush with trillium, atamasco lily, red buckeye, bloodroot, mayapple and indian pink. 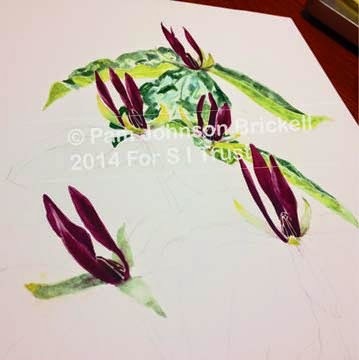 The project involves me making illustrations of the plants for outdoor signage and a tri-fold brochure. Needless to say, my spare time is nil, so over the next few weeks, I'll be posting mostly images and very little copy. This post offers a peak at some of the major illustrations and their beginnings. The mayapple started with a toads viewpoint. I painted this plein air sitting among atamasco lilies and mayapples.... perfect day! 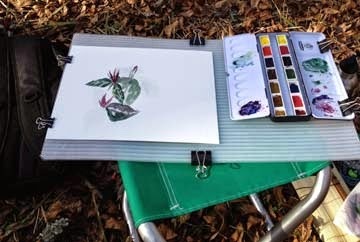 I started the spotted trillium plein air, but time was cut short. The final piece was painted in the studio from photographs taken that day. 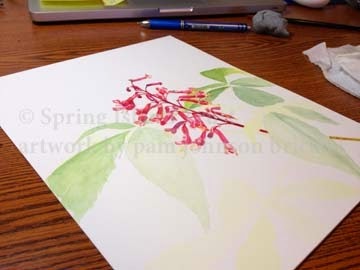 Same with the red buckeye.